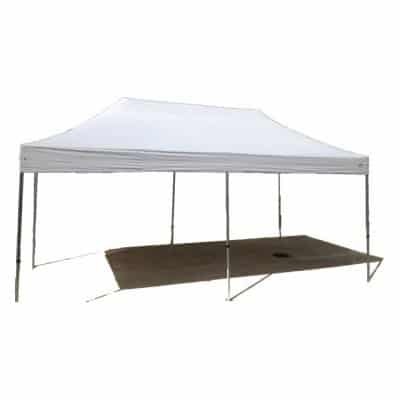 This strong and sturdy 3m x 6m shelter, fits around 20 people comfortably and adds protection from the elements. Quick and simple to install they offer a low cost solution for a short term event, such as a backyard party or sporting event. To enhance visual appeal and lend extra protection, walls are available at an extra cost of $10. To anchor the shelter we use a choice of weights or pegs depending on your situation. Please call our office to discuss the best solution for you. Please note that the 6m x 3m shelter is only available from our North Shore branch and is not suitable for areas of high wind.